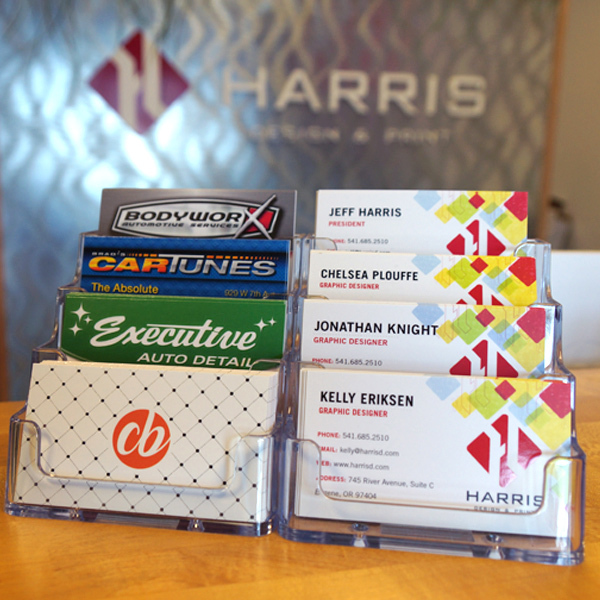 Choose between a variety of styles to create just the right look for your business. Some of these are best seen in person. Come by our shop if you want to look at samples. 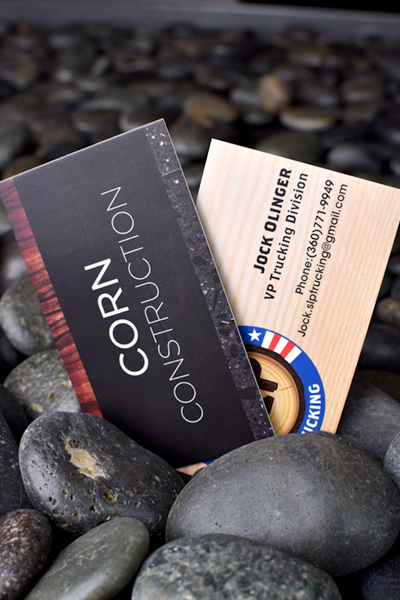 With no coating, these cards really show off the paper quality and have a very clean-cut edge. 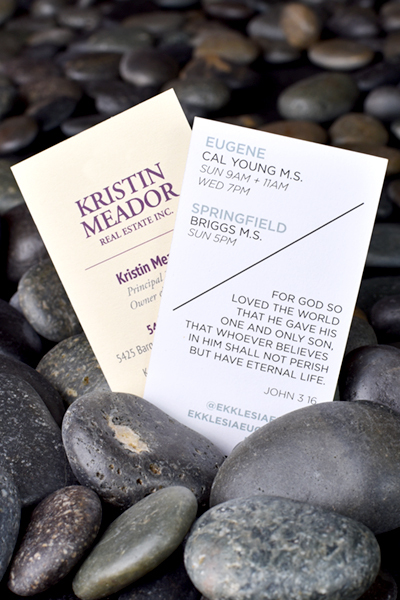 Choose between bright white or natural paper with a full-color print on both sides. 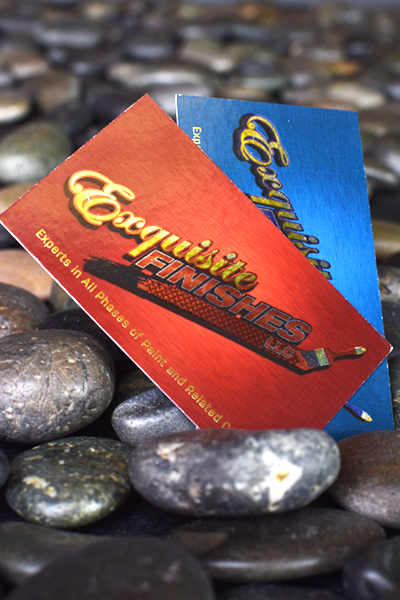 Create a highly unique look with a full-color print over full or partial-coverage silver foil with a glossy finish. 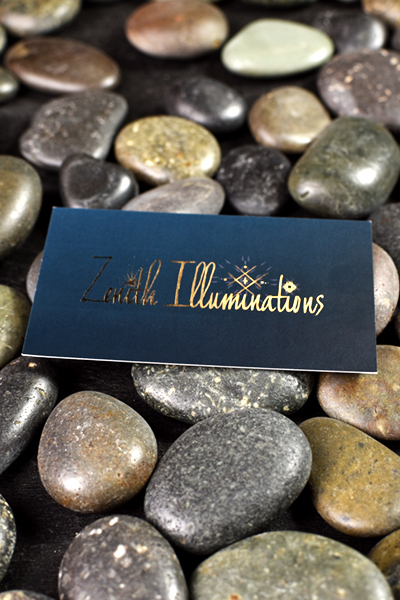 This high-end full-color print has a silky-smooth coating under stamped solid-color shiny foil accents which creates eye-catching contrast. 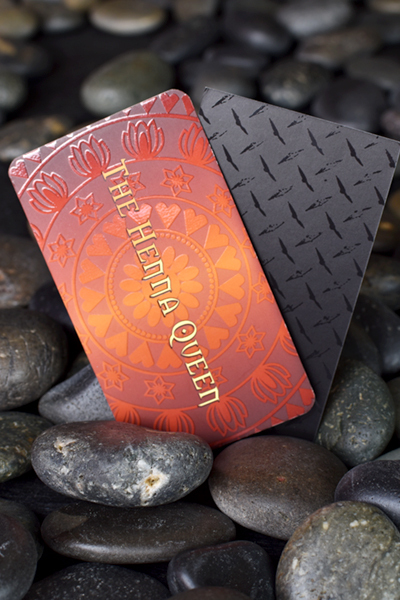 Choose between silver, gold or copper foil.